Christmas is really around the corner, even if we cannot feel the cool weather yet. Blame that on El Nino and on climate change. A few days ago I went to the mall to buy a bit of ornaments for our tree. I have already decided on a color theme. I was looking for ornaments that would fit my theme. While browsing I took a few shots of the trees in the mall. 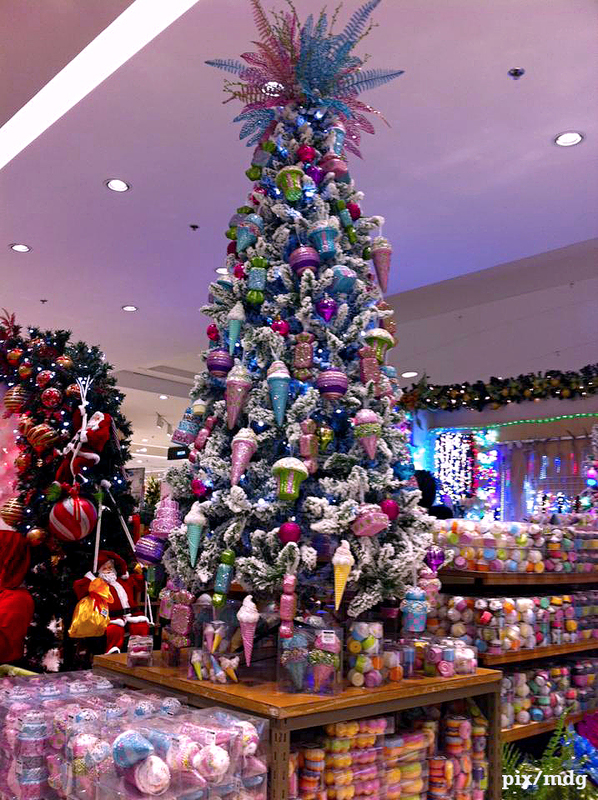 I call this the Katy Perry Christmas Tree because it reminded me of her sugary confection-filled music video.